Earlier this week Politico profiled Keith Schiller, President Trump's former "body man," who recently testified before the House Intelligence Committee. Politico‘s Annie Karni emphasized Schiller's close proximity to the president—not only did he have Trump’s ear, but he also had a pulse on the man, his mood depending on the hour. And when the White House kitchen staff couldn't match the satisfaction of a quarter-pounder with cheese (no pickles, extra ketchup) and a fried apple pie, it was Schiller, bodyguard and Trump whisperer, who would head down New York Avenue to McDonald's on a stealth fast food run. First of all, it's a pro move by someone with years of experience consuming fast-food to request no pickles, extra ketchup. He'll get a custom job versus something that's been sitting in a heating tray for 15 minutes. 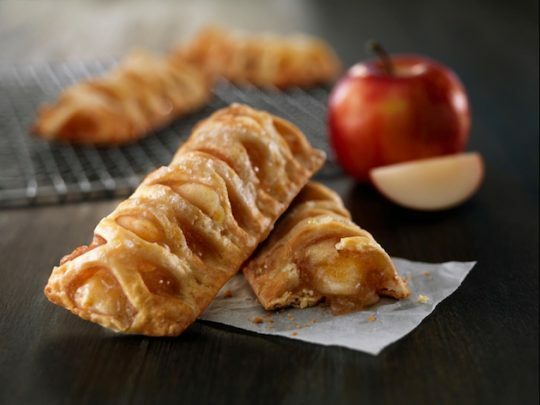 But more important: Was McDonald's really back to selling deep-fried apple pies? The answer is no. McDonald's media relations manager Andrea Abate directed me to information highlighting the history of this fine delicacy. 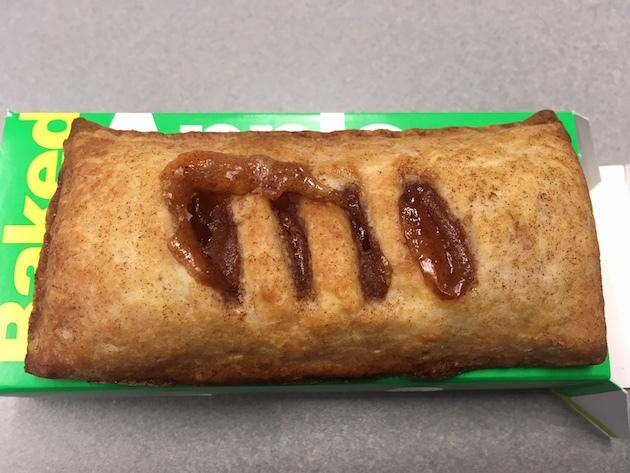 Based on a recipe by Knoxville franchisee Litton Cochran*, the apple pie debuted on the McDonald's menu in 1968—the company's first-ever dessert item. According to McDonald's, "the original fried Apple Pie was replaced in 1992 with the baked Apple Pie due to customer preference and trends." So why must the United States suffer? I lamented this change-over as far back as 1996 in the Weekly Standard. If McDonald's wants to fend off the competition, the key is not to go healthy (salads and wraps are a losing battle) but to embrace the flavor (think Carl's Jr.). For the purposes of research and investigation, I walked over to my nearest McDonald's and ordered their apple pie. Although it was warm and sweet, the pie was dryer and pastier than its predecessor. On the corporate website, there's no hint of an impending reversion to the classic recipe. Instead, it's noted that "McDonald's Culinary Team is currently testing a new recipe using sliced apples (versus diced apples) with a lattice top crust" (pictured atop this story). This could be interesting. This could be tasty. But it can't possibly have that combination of crispiness, chewiness, and sweetness that comes from a golden-fried apple pie. As much as President Trump loves his McDonald's today, I am betting he has fond memories of the McDonald's of yesteryear—when the french fries were cooked in beef tallow and the apple pies were fried. Using his powers, perhaps he can make the latter happen? I’m betting all it'd take is a tweet to McDonald's CEO Steve Easterbrook. The president's supporters are frustrated with the inaction coming from our capital—the inability to repeal and replace Obamacare or push through tax reform. But bringing back the McDonald's fried apple pie would be a step in the right direction. *We owe a lot to those franchisees, who straddled the line between obeying corporate and daring to innovate on their own. As Eric Schlosser notes in Fast Food Nation, "Ronald McDonald, the Big Mac, the Egg McMuffin, and the Filet-O-Fish sandwich were all developed by local franchisees."